David Hillman almost lost his chance for a PhD when his doctoral committee questioned the part of his dissertation on recreational drug use in antiquity. He took it out, but revived it for his book "The Chemical Muse : Drug Use and the Roots of Western Civilization." He tells Jim Fleming that drug use was common in Greco-Roman times, and that the ancients thought it helped them get closer to the gods. Program 08-05-18-B (click to listen now). [EXCERPT from Publishers Weekly] -- Ancient Greeks and Romans used substances from plants and animals to heal the body, but also, Hillman says, to heal the mind and as a source of creative inspiration. Taking up an old thesis of such scholars as Morton Smith and John Allegro, Hillman contends that ancient poets and playwrights from Homer to Aristophanes, and philosophers from Pythagoras to Empedocles, featured the use of mind-altering drugs in their writings. Hillman ends with a peroration on the roots of the Western notion of freedom in ancient Greece and on the right to use recreational drugs as a core freedom. Kirkus Reviews (Source) -- In ancient Greece and Rome the right to use recreational drugs was not just accepted, but an important aspect of personal freedom. Conservative academics don't want this to get around, claims debut author Hillman, asserting that he was told to delete material on recreational drug use from his dissertation for a doctorate in classics from the University of Wisconsin. That incident provided the incentive for this book, which argues that psychotropic drugs played a crucial role in the history of Western intellectual development. The earliest Greek philosophers, Hillman avers, "flourished in a society that embraced the intellectual, social, and political freedoms associated with recreational drug use." They understood the value of mind-altering substances in assisting creativity and advocated their use. In the ancient world, he continues, such botanical medicines as opium and belladonna were a comfort and a source of hope; they were often mixed with wine, or inhaled, or applied as suppositories to provide relief from pain and illness. Knowledge of their powerful effects-euphoria, sedation, states of altered perception, temporary psychosis-was widespread, and ancient myths are replete with instances of their power. The author combs the writings of Homer, Virgil and Ovid for references to narcotics and the effects of various stimulants, seeking to demonstrate their familiarity to those authors and their audiences. Among the personal freedoms valued highly by the founders of Western civilization, he contends, was the right of the individual to use drugs of any kind; Hillman views the loss of this right as deplorable. Apparently still stinging from his academic experience, he claims that classical scholars have a moral bent that has led them to ignore this subject, making "the Greco-Roman fascination with narcotics, stimulants, and depressants . . . the last unexplored frontier of ancient history. "If the movement to legalize marijuana is looking for an irate classicist as spokesman, Hillman is it. FINALLY! 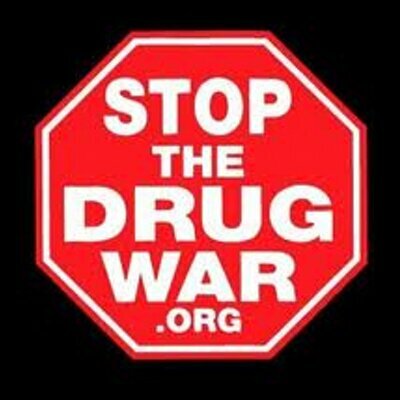 Once we can at least get some truth tellers in the highest office of the land, it may not be long before we finally END THE MORONIC WAR ON MARIJUANA! As it turns out, while Kerry and others also went on record professing the truth, it is the introspective Barack Obama, leading what we might call the New American Century for Sanity and Truth In Public Policy Movement.